Might it be time to say goodbye to your favoured animal companion? Don't let them go out feeling anything other than the love and care you showed them throughout their life. 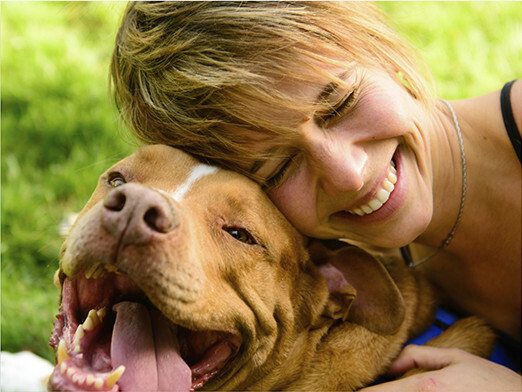 We offer in-home pet euthanasia in Motherwell that happens only after a careful assessment of their quality of life. Because if you're as much of an animal lover as we are, you'll want to be sure that there's nothing more that can be done to alleviate their suffering. Once your assessment is over, your vet will help you to prepare a quiet place in your home that your pet feels comfortable. They can be surrounded with their favourite things and any family members who might like to be there. You can hold their paw or stroke them as they're gently put to sleep. The pet euthanasia method that we use is 100% painless. The only discomfort they'll feel is the brief and incredibly mild pinch of the first needle which lets them slip into unconsciousness before the final injection is performed. At your request, we can then transport them to our pet chapel of rest, taking care of any need you might have to worry about what to do with them once they're gone. We want you to know that we're here and ready to support you in any part of the decision-making process. For many people, we find that the more information they can get, the better. Which is why we make it easy to reach us by phone whenever you need to - and why your in-home vet will be happy to talk to you about any part of the process of putting a dog down. The cost of putting a dog to sleep is often one of the things that plays on our clients' minds when they get in touch. Please do tell us when you need to know more about dog euthanasia costs or any other part of handling your pet's final days. For anyone considering putting a cat to sleep, there are often many concerns and considerations - not least, whether this is the right thing for your beloved pet. 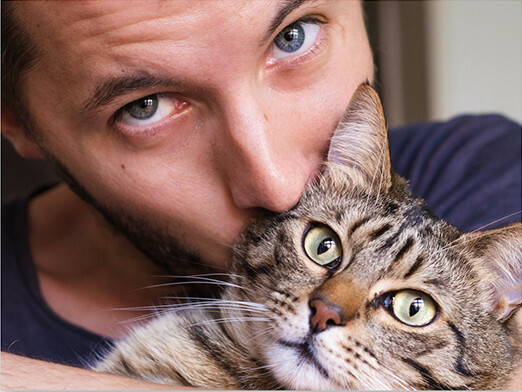 We're always glad to talk you through any part of the decision, about your pet's health, and even about practicalities like cat euthanasia costs. Please do contact us whenever you feel you need to. Everyone knows that animals display any pain they might be feeling differently to how humans do. Some even go to great lengths to hide any discomfort, a holdover from days in the wild when this might mark them out to predators. This is why we provide our handy in-home pet quality of life consultation option. You can simply invite one of our helpful vets to come and visit your cat or dog. This will make sure that you have access to any pet pain relief that they might require ready to go whenever they need it. Your initial consultation will take in every aspect of your pet's health and environment, leaving you clear in the knowledge of what you'll need to do keep them happy and comfortable. We're used to providing pet pain relief in Motherwell for pets who are very ill as well as very old, so you'll be in safe hands - and have a personalised care plan created - whatever your pet's state of health. Because animals don't show signs of pain in the same way that humans do, it can be difficult to tell whether your cat is making noise because they want attention, are losing their hearing, or are in pain, for example. Your in-home vet will always be able to advise you on the correct pain relief for dogs and the right pain relief for cats which are part of your family. The final step in taking care of your animal companion's final days is to arrange for pet cremation. If you've called on us to put them to sleep, we can easily carry them away with us to be laid to rest in our pet chapel. You can then come and visit them before they go on their final journey. You can choose between our option for single and group pet cremation in Motherwell. These allow you to either have your pet's ashes returned to you in the case of the former, or know that your pet isn't going alone or cater to different budgets in the case of the latter. We'll always try to provide the kind of care that we would wish for our own pets, and you can spread the ashes in the very pretty grounds of our chapel should you wish to. When making the decision as to what to do after your animal companion has passed away, it's sometimes best to have all the information you can. If you're one of those people for whom knowing that everything is taken care of for you makes it easier, talk to us about the chapel of rest at which we provide respectful animal cremation in the local area. You can rely on our peaceful facilities for both dog cremation and cat cremation. And whatever your budget, we'll do whatever we can to keep any pet cremation costs within it. Arranging pet memorials in Motherwell used to be one extra thing that any recently bereaved pet owner simply didn't want to have to think about. This is the reason why we've chosen to add this option to the support we offer: Simply tell us about the pet memorial you have in mind and we'll provide any necessary items. These could be marker stones, headstones, urns, and many others. We're always glad to help. ML 1 Motherwell, ML 2 Wishaw, ML 3 Hamilton, ML 4 Bellshill, ML 5 Coatbridge, ML 6, ML 7 Shotts, ML 8 Carluke , ML 9 Larkhall, ML 10 Strathaven, ML 11 Lanark, and ML 12 Biggar.